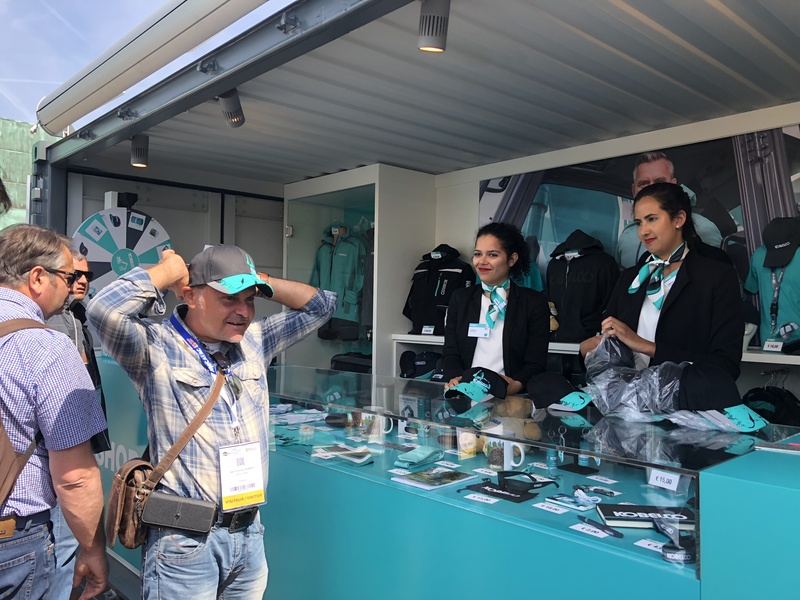 Fanshop and activities at Bauma - Kobelco Construction Machinery Europe B.V.
Kobelco Fanshop at Bauma will be the biggest to date and we have many activities planned for all our visitors. Collectors Cafe – have a drink, meet other collectors and join the events – on Monday Meet & Great with Guenther Conrad from Conrad Scale Models. For those of you that purchase Conrad model at Bauma, Guenther will sign the box. On Wednesday we invite you to the meeting with the editors of PMMW and Laster & Bagger magazines: Steven Downes and Daniel Wietlisbach. You can share your publication ideas with them. For the first time, we have produced a Scale Model booklet for 2019 and have a free Kobelco PMMW special edition magazine to give away. To add an excitement we will have a daily draw and one lucky person will spin the wheel of fortune and walk away with a prize. Auction – we will run 2 auctions of exclusive chrome SK500LC-10 scale model produced to celebrate Kobelco’s 5th anniversary back in Europe. We only produced 150 of those models as a gift to Kobelco dealers and staff, this model is not available for sale. K-Dive demonstrations and virtual reality simulator – We also invite you to see our daily demonstrations of K-Dive – Kobelco’s concept of the remotely operated machine. The shows will run every day at 10:00, 11:30, 13:30, 15:00, 16:30. And if you would like to test your operator’s skills, make sure you don’t miss on our simulator, which will be available in between the K-Dive demonstrations. Family Days – coming to BAUMA with family? Make sure you visit us on the weekend 12-14 April and try our very own football table, test your ball throwing skills on Kobelco Derby or let your children enjoy the small electric excavator in a special kids digging area. We look forward to welcoming you to our booth at Bauma!